Menorca: Spain’s Balearic island destination that promises tranquil beach days and plenty of exploring. Menorca is the easy-going Balearic island that is a much-loved Spanish destination. The island has a population of just under 95,000 residents and a small-town feel, unlike its popular sister-island, Majorca. 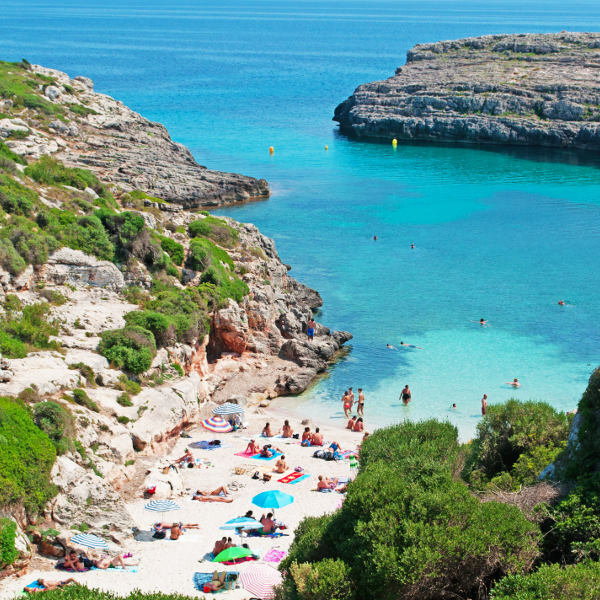 Menorca is best known for its beautiful beaches, natural scenery and extensive winelands. Top tourist attractions include Cami de Cavalls, Cala Pregonda and Cathedral de Ciutadella. Pack your bags for a relaxed island getaway, with cheap flights to Menorca for a limited time only! Menorca is home to Menorca Airport (MAH), located on a 15-minute drive from the city centre. Menorca Airport serves a number of airlines, including Qatar Airways and Iberia. There are no direct flights to Menorca from South Africa, but popular connecting flights depart from Johannesburg and Cape Town. The flight duration is approximately 22 hours from Johannesburg. 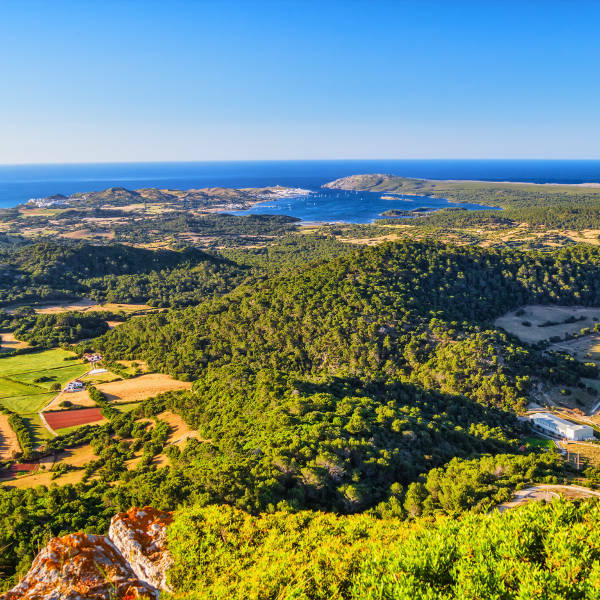 Menorca was declared a biosphere reserve in 1993, allowing for its natural beauty to flourish, native flora to develop and also, to keep mass tourist resorts at bay. The island location has more than 200 beach locations, more than both neighbouring islands Ibiza and Majorca! With this in mind, you’re bound to find a spot to unwind, even during peak season. 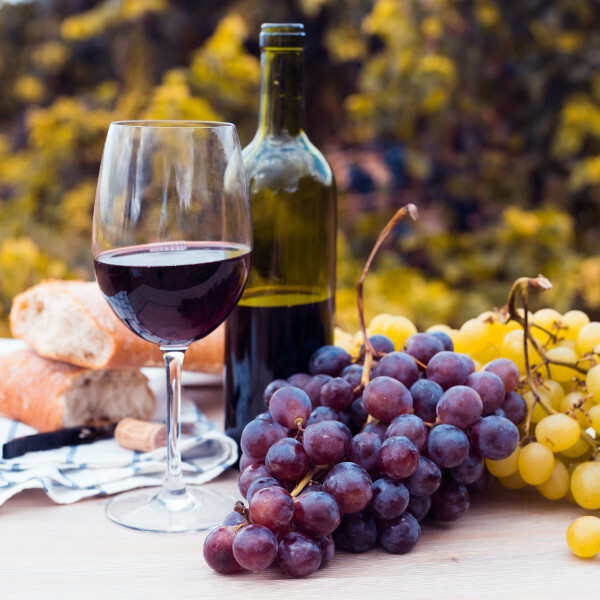 Menorca has some wonderful wine farms that can be found throughout the island. Popular tours are run daily as visitors often find themselves returning to the island for the exceptional wine and gin options. The best time to visit Menorca is between the months of May and October, when it is generally sunny every day and the temperatures are pleasant – perfect for spending time at the beach and exploring the island’s natural scenery. Menorca experiences a slightly cooler winter period (December to February), which may not be ideal for visiting the beaches but would be wonderful for afternoon hikes and taking in the Old Town attractions. Winter temperatures range between 8 and 17 degrees Celsius, while spring and summer temperatures are between 15 and 27 degrees Celsius. Menorca is a haven for those who love to enjoy both wondrous sea views as well as the majestic natural attractions that can be found in the Balearic Islands of Spain. Less crowded than popular Spanish islands Majorca and Ibiza, you’d be amazed by the change of pace and relaxed atmosphere. Popular beaches include Cala Macarelleta and Calas Mitjana and Mitjaneta. Those keen to see the whole island in all its splendor can do so via a path along its borders, known as Cami de Cavalls. This path was built as a 14th century defense system and is now a tourist attraction to explore the island at your leisure. When in Menorca, you cannot miss a visit to Ciutadella, the island’s former capital city. An Old Town with its gothic structures and unique architecture, you’ll fall in love with its quaint cafes, Santa Maria Cathedral and overall charm. To top it off, Menorca experiences good weather all year, making it an ideal vacation destination at any time of the year! Compare several airlines and book your cheap flights to Menorca online with Travelstart! South Africans who wish to visit Menorca need to apply for a Schengen Visa as Spain falls under their group of countries to visit. You will need to apply at the Spanish Embassy for your Schengen Visa. Menorca is a safe destination for all of those who wish to travel there, especially families with children and single women. The island boasts a low record of petty crime, though it is always advisable to be aware of your surroundings and leave your important paperwork and extra money in your hotel room safe. There are no health requirements for your trip to Menorca. Make sure to visit your local doctor a few weeks ahead of time and get a clean bill of health. You may consider getting a shot for hepatitis A, B, and rabies.